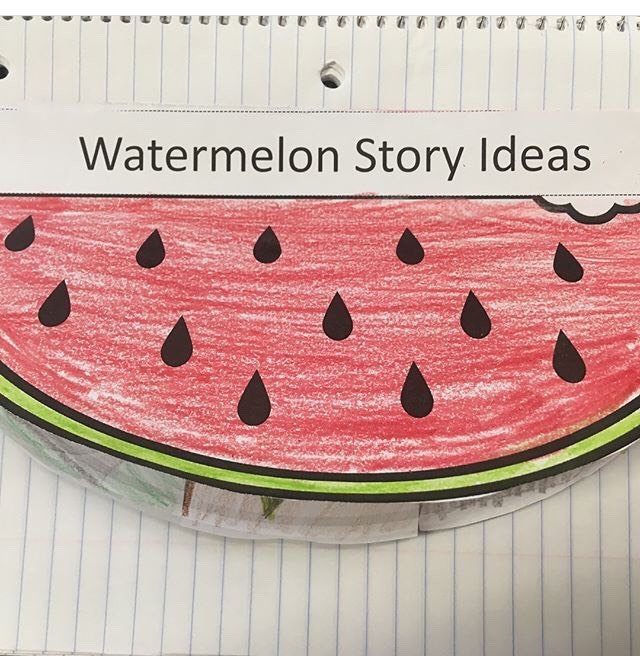 What is a watermelon story? To me a watermelon story is when a kid comes up to you at recess and they tell you everything that happened to them. Where do they usually start their story? At the end. You have to make them back up and tell you all the little seeds that led up to that great big watermelon story. A seed is a portion of the watermelon just like a seed story is a small portion of a vacation, school day, etc. Let me give you some examples of what I used in my classroom to help them zoom in on a specific topic. 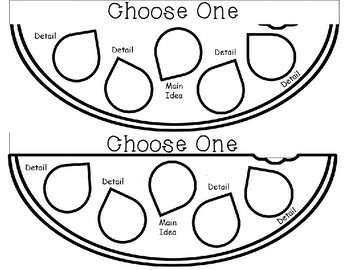 To start off, we used this watermelon graphic organizer. I had them cut out and glue down their seed stories first into their Writer’s Notebook. We kind of had to work backwards so that our colorful watermelon would be on top. They turned this horizontally so that it would fit nicely into their Writer’s Notebook. Next I had them glue these (3) slices on top of their seeds. They could only glue at the top of this watermelon, otherwise it would cover up their seed stories ideas. 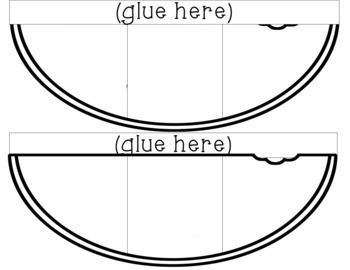 I did have them cut on the dotted lines to make it look like (3) different slices. Lastly, I had them color their watermelon cover and glue it on along the top edge only. It seems like every year we really struggle with breaking down our stories to just a seed moment. I am the world’s worst about starting a watermelon story – which I think it’s okay. So, I came up with the idea to create these graphic organizers and my students loved them! Here is what I had my students do after cutting and gluing all their watermelon pieces into their notebooks. They took the one in the middle (3 slices) and brainstormed three topics that they could write about. To help them generate ideas, I’m listing these sentence stems on an anchor chart. My favorite vacation was….My favorite place is….My favorite person is….My favorite game…My favorite video game…. They could really jot down just about anything that comes to mind. 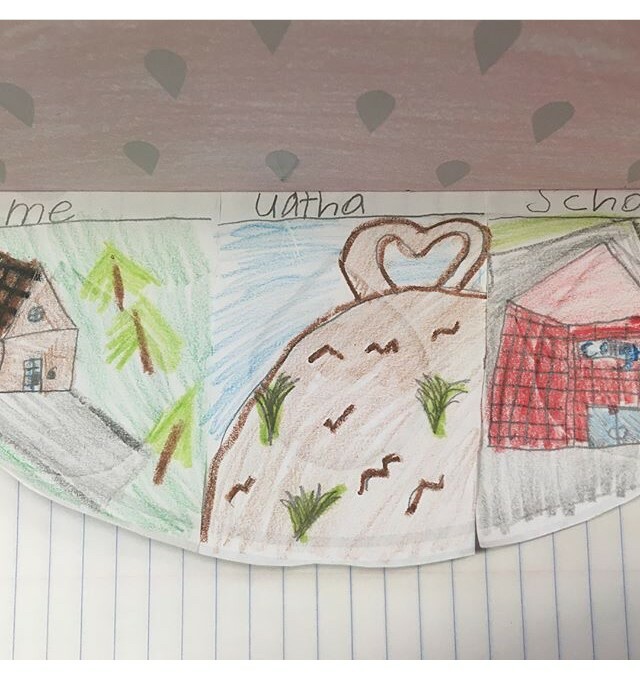 This student chose to write about home, Utah, and school. One thing I remind all students, is that they don’t have to be somewhere spectacular to write a spectacular story. I always tell them how I love being at home and share with them things that I can do right from my house. Make sure and allow your students to sketch. Sketching allows for your students to not get bogged down with writing all these details. Let them sketch the three things they chose to write about and put their title (one word) at the top of each sketch. At this point, I have them choose one of the flaps to write about. In the case of this student, he/she would circle home, Utah, or school. Now using this page, the student will write and/or sketch in each seed telling what they did on their vacation, trip, at school, home, or while visiting something. My student chose to write about Utah and wrote words like hiking, snow, playing, games, family, etc. Now your students will want to choose one of those seeds to write about. This is how you bring them down from a watermelon story to a seed story. 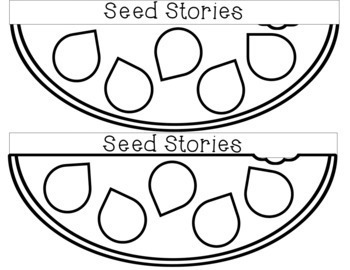 You can draw out even more specific details of their seed story using this graphic organizer to draw out details from their chosen topic (their main idea). My topic that I choose to write about every year is about our trip to the San Diego Zoo one winter. This had been a dream of mine since I was in the 3rd grade. I had always wanted to go to the San Diego Zoo to see a koala and my dream came true several years ago. The zoo is a watermelon story. My seed that I talk about is riding the Skyfari – an aerial tram which takes you from one side of the zoo to the other. My kids wanted to ride it over and over again, and thanks to my City Pass we got to ride it for FREE. 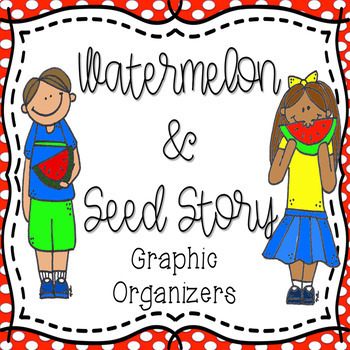 I hope you always write with your students and I hope this graphic organizer helps you to better zoom in on a specific topic with your students to take it from a watermelon story to a seed story. Enjoy!